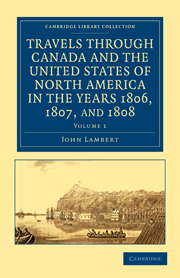 In the British territories of the North American Great Plains, food figured as a key trading commodity after 1780, when British and Canadian fur companies purchased ever-larger quantities of bison meats and fats (pemmican) from plains hunters to support their commercial expansion across the continent. Pemmican Empire traces the history of the unsustainable food-market hunt on the plains, which, once established, created distinctive trade relations between the newcomers and the native peoples. It also resulted in the near annihilation of the Canadian bison herds north of the Missouri River. 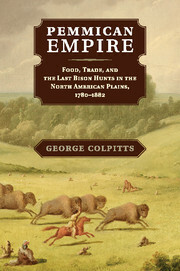 Drawing on fur company records and a broad range of Native American history accounts, George Colpitts offers new perspectives on the market economy of the western prairie that was established during this time, one that created asymmetric power among traders and informed the bioregional history of the West where the North American bison became a food commodity hunted to nearly the last animal. 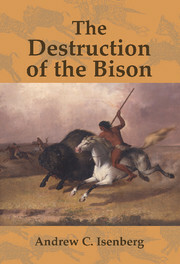 "At last we have the sweeping story of the destruction of the buffalo herds of North America, not as a subject of natural history but as an inquiry into man's depredations - from the first employment of the mammal's flesh and fat for the making of pemmican, which was the fuel of the fur traders that enabled the spanning of the continent to the Columbia Country, right through to the savage and debilitating corporate wars and rivalries across the forty-ninth parallel. Thoroughly researched and finely written, this distinguished contribution to historical studies tells the tragic story of a world we have lost as individuals, corporations, tribes, and Metis all sought to maximize their benefits in the profligate search for food and for hides. 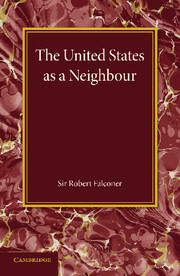 It is a story of universal importance." "George Colpitts has given us an utterly fresh and revealing look at the oft-studied story of the plains bison, its exploitation, and its near demise, and he has set that story in its full fascinating natural and economic context. 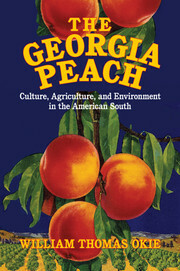 This is a splendid work of environmental history." 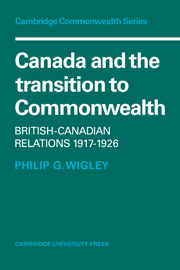 George Colpitts is Associate Professor of History at the University of Calgary.